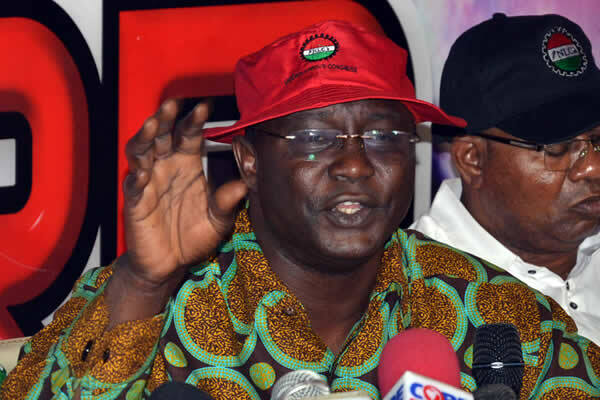 The Nigeria Labour Congress has threatened to embark on an indefinite strike if the Federal government reneges on the N30, 000 minimum wage agreed in the Tripartite committee report presented to President Buhari on Tuesday, November 6th. The Federal government yesterday debunked reports that President Buhari had endorsed the N30, 000 minimum wage proposed by the Labour-union. Minister of Information, Lai Mohammed, told state house correspondents after the Federal Executive Council meeting that the N30, 000 was merely a recommendation. Reacting to Lai Mohammed’s comment, the General Secretary of the Trade Union Congress, Musa Lawal, said if the Federal government decides to go back on their promise, the labour unions would go on strike. He said the reason the November 6th strike was called off was because of the Federal government’s agreement to the N30, 000 minimum wage.